Among the big AAA titles that have been released these past years, few have been as divisive as Final Fantasy XV. Whether it’s for its linear second half, underdeveloped story or a number of other issues, the most vocal fans of the series considering the game directed by Hajime Tabata one of the worst entries in the series. The development team was well aware of the game’s flaws and started addressing them soon after release with several free updates and paid DLC which add more story and gameplay content. The latest additions are found in the Royal and Windows Editions of the game, which offer a mighty package for those who have completed the game after launch and haven’t come back to it since. The latter also offers an impressive visual quality, making it the definitive version of the game. As already mentioned, one of the most glaring flaws of the original Final Fantasy XV release was its underdeveloped story and secondary characters. Noctis and his friends are often in the spotlight, making the ending sequences emotionally impactful, but many of the villains don’t get the development time they deserve, with two of them practically dying offscreen in the original release. These issues have since been addressed, and things have been further improved in the Final Fantasy XV Windows Edition, with additions to the final chapter of the game and an extended ending sequence that makes everything way more satisfying. Ultimately, the story doesn’t go beyond the “fated hero who saves the world” even with the additions, but things make way more sense than at launch. The additions found in Final Fantasy XV Windows Edition don’t stop at a few additional story sequences, as there’s plenty of new gameplay content. If you have only played the game at launch, you will be positively impressed at what has been added in the past year. The combat system feels better than ever, with the ability to control Gladiolus, Prompto, and Ignis during the main game. The three characters are way different than Noctis, and bring some welcome variation to the warping and weapon switching of the prince of Lucis. Cross Chains from Episode Duscae have also been implemented in the game, giving players yet another offensive option. 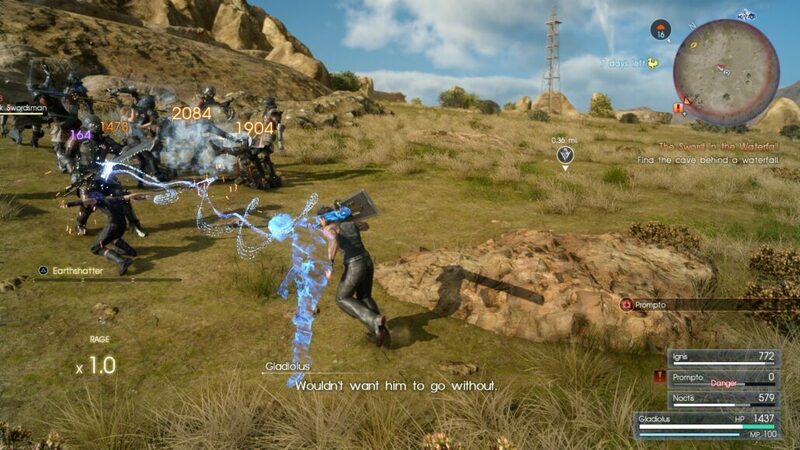 As if all this wasn’t enough, Noctis also has a new special Armiger technique called Armiger Unleashed, which has to be unlocked by exploring one of the new locations added to the Windows Edition. The gameplay additions don’t stop at the combat system. In Final Fantasy XV Windows Edition, Chapter 14 has been expanded considerably, with the addition of an explorable Insomnia, which now includes several subquests involving major supporting characters and even the Glaive players have created for the Comrades expansion. New optional bosses have also been added, including the powerful Omega from previous entries in the series. Additional content has also been added to previous chapters, including the ability to explore the sea with the Royal Cruiser and new quests to upgrade the Regalia further. Final Fantasy XV Windows Edition also includes all the DLC Episodes and the Comrades Multiplayer Expansion, which help flash out the story and detail what Gladiolus, Prompto and Ignis have experienced when leaving the party temporarily and help fill the gap between Chapter 13 and 14. Episode Ignis and the multiplayer expansion are the best of the bunch, especially the latter, which turns Final Fantasy XV into a sort of MMO. Sadly, the Steam online population isn’t particularly high, so it may difficult to find other players to complete the many hunts included in the expansion. The main question here is: do the new gameplay and story additions make Final Fantasy XV Windows Edition a better game? The answer is both yes and no. Fundamentally, the game isn’t much different from before, as players will still be roaming a big open world map, complete main and optional quests and battle some fearsome monsters in Hunting Quests. Some optional quests aren’t particularly stimulating, basically being glorified fetch quests, but the several additions may make them slightly less boring. At the end of the day, if you haven’t liked the open world approach back in 2016, there isn’t much here that can change your mind. Where Final Fantasy XV Windows Edition is undoubtedly superior to the console release is graphics. The PC version of the game supports resolutions up to 8K; there’s also a separate, free High Resolution pack containing 4K textures only available on PC. Then, of course, there’s the ability to customize several graphics options, including some that truly improve the graphics like Geomapping for ground textures. NVIDIA specific settings like Hairworks, VXAO, TurfEffects, and ShadowLibs are also available, but you’ll need a powerful GPU to activate them while keeping your average FPS from tanking. Overall, the frame rate is more than acceptable on a machine powered by an i7-3770 CPU, 16GB RAM, and GTX 980Ti GPU, keeping a steady 60 FPS framerate at 1080p, High settings. With superior graphics quality and a lot of additional content which fills the gap in the story and provides a more satisfying ending, Final Fantasy XV Windows Edition is truly the definitive edition of the game. Some of the game’s issues are still there, such as some uninteresting sidequests and an excessively linear second half of the game, but they are surely less aggravating than before. As the game hasn’t changed much at its core, however, those who haven’t like Noctis’ journey the first time will hardly change their mind. Those who liked it, however, will like it even more. Review code provided by the publisher. You can purchase Final Fantasy XV Windows Edition at a discount via Green Man Gaming. Final Fantasy XV Windows Edition is the only, true definitive edition of the Square Enix Japanese Role-Playing Game, thanks to the superior graphics quality and several gameplay and story enhancements, which are also included in the consoles' Royal Edition. 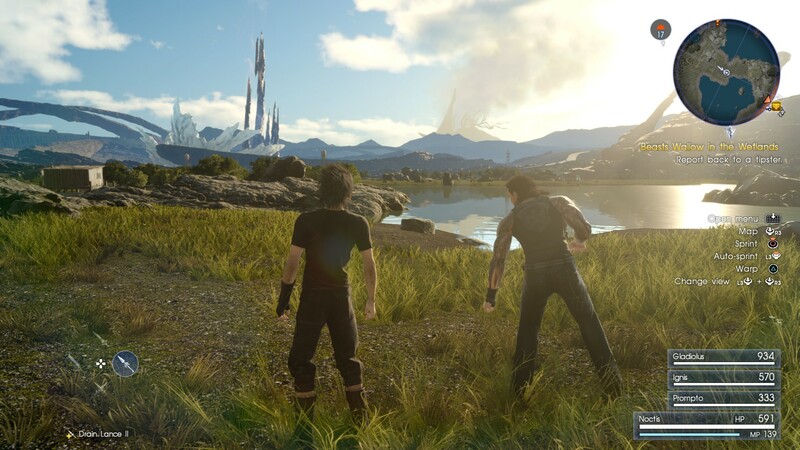 The open world nature of the first half of the game may not be for JRPG fans, especially for those who prefer a more traditional approach, but this shouldn't stop anybody from experiencing Noctis' journey the way it was meant to be experienced. The true King is finally here, and Eos can finally rejoice.